Aircraft, GSE, training, facilities, spares and support package. That 173m is probably over 20 years. 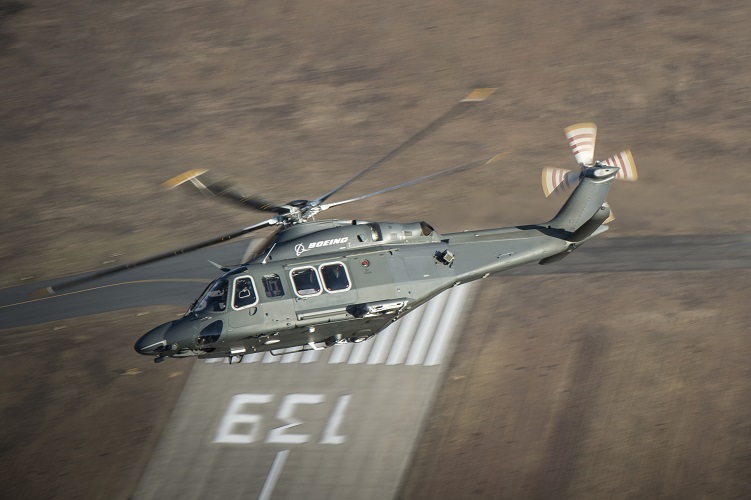 The US Air Force has selected the AW139 to replace its Huey's. Boeing [NYSE: BA] will provide its MH-139 helicopter and related support to the U.S. Air Force to replace the more than 40-year-old UH-1N â€œHueyâ€ helicopters used to protect Americaâ€™s intercontinental ballistic missile bases. Described as a 'militarised' AW-139. What will be the differences between this and the AC AW-139s? Painted "US Military green" instead of "green"? 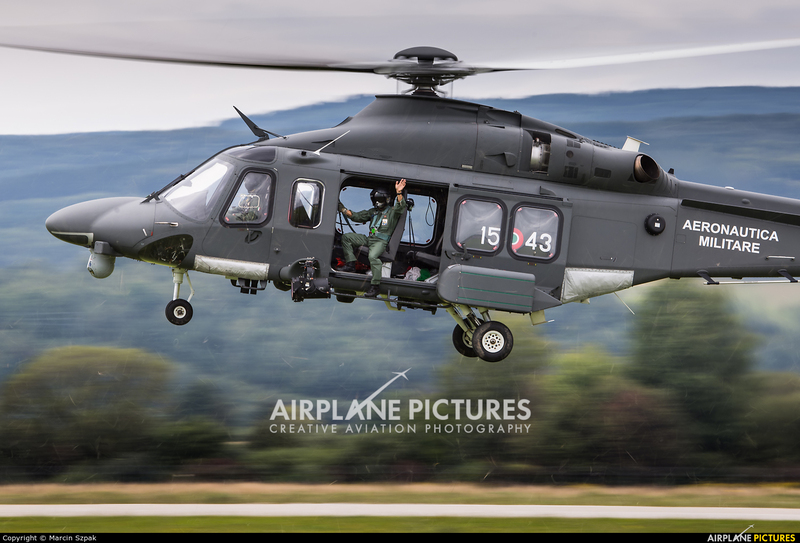 There is more space for avionics in the nosecone compared to the Italian Built AW139. There is a long nose version is also available on Italian built machines and is in service with on Italian Air Force, Coast Guard and Maltese Armed Forces. Quite a surprise that the UH-72 Lakota lost this one. Like that aircraft, it's intended for domestic use only. one thing that hasn't changed from the Dauphin era is that the cockpit entry door is too small for a fully kitted out pilot to be able to enter easily......I wonder how long it will be before they have to tool around with skis on, because of the tiny tyres. Same with the Casas and the Dauphins; the Air Corps as laboratory. Same with the Hs 125 , the GIII and the King Airs. We had some of the highest hours and cycles per annum on those airframes, compared to most civvy users of the same types and the manufacturers were always keen to see how we got on, especially with respect to corrosion and cracking. Even other Alouette users came to us for gen.
Modifying the undercarriage would probably require the most extensive work - the rest of the mods are probably bolt on and could be done by Leonardo under a midlife upgrade, if the funding was made available. And for that to happen, there'd have to be some appetite for deploying the Air Corps abroad. Perhaps if the PC-12's are ever deployed in support of overseas missions, there'll be a realisation that provision of some kind of CSAR will be necessary. The Air Corps' AW139's are "militarised", anything that is adapted for military use is "militarised". The differences is going to be what the customer wants. Likely a FLIR turret, SAR winch, GPS/INS, HF/VHF/UHF LOS and SATCOM radios, IFF transponders, missile warning system, navigation/weather radar, radar jammers, machine-gun mounts and chaff/flare dispensers. Boeing will more than likely fit equipment and material used on their Chinook production line to keep the costs down. Also, expect to see the same equipment as used already with the Pave Hawks. It wasn't offered. There was only two other helis offered, Sikorsky with a Pave Hawk variant and another company with upgraded ex-US Army Black Hawks. It was probably too small for what they wanted anyway. Bell refused to enter the competition saying it was biased towards Sikorsky, maybe Airbus thought the same or had nothing suitable for the tender in US production. An interesting documentary about the AW139 Factory, and what goes into building each aircraft. The Hueys being replaced are worn out hulls that are used in airfield defence, ballistic missile site duty, routine non-combat utility and so on. I was reading on another forum about how worn the UH-1s are, that readiness times have fallen thru the floor. They have reached the point of no return as far as the cost of maintenance is concerned.